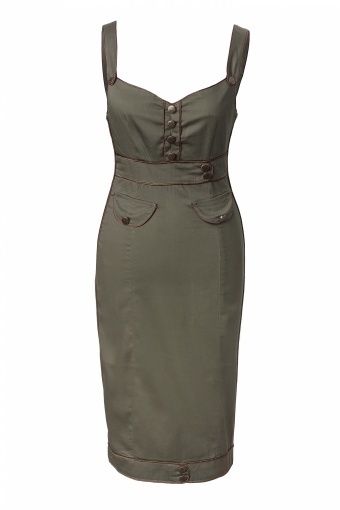 The 40s Retro Military Khaki Strap pencil dress from Living Souls is a stunning example of 1940s vintage couture. 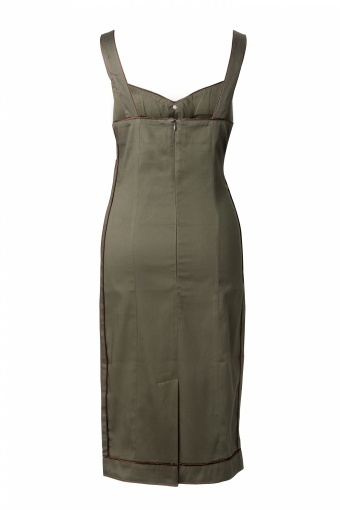 The svelt pencil shape accentuates the bust while clinging smoothly to the hips and sweeping over the thighs down to the knees in gorgeously luxuriant sateen cotton in dark olive green. Backside small slit and zipper. 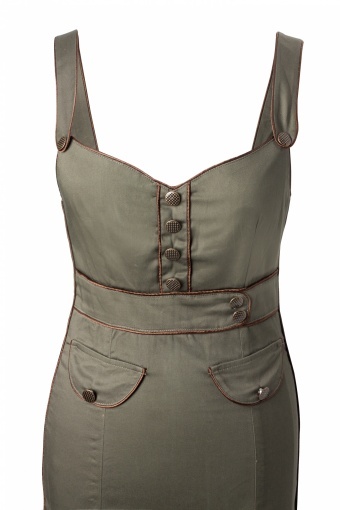 The straps together with an assortment of brass studs and buttons, completes the look. Bring a by-gone era alive with this outstanding dress! From this label also a A line & Pencil style available!